John Buckley is a contributor to Writers on the Range, the opinion service of High Country News. He is a Washington novelist and CEO of Subject Matter, a creative advocacy firm. Fifty years ago, Edward Abbey’s Desert Solitaire was published to decent reviews but little fanfare. “Another book dropped down the bottomless well. Into oblivion,” wrote a disheartened Abbey in his journal Feb. 6, 1968. Yet it has remained in print for a half-century and created a devoted following. As President Donald Trump and Interior Secretary Ryan Zinke carved 2 million acres out of Bears Ears and Grand Staircase-Escalante national monuments, both in the heart of “Abbey Country,” Desert Solitaire remains more relevant today than ever. A view from the Kayenta Trail in Zion National Park. By the time Abbey wrote that, his beloved Glen Canyon was “going under fast,” gurgling beneath Lake Powell as the Glen Canyon Dam plugged the Colorado River’s flow. The fact that Arches and Canyonlands national monuments would later become national parks was of little comfort to Abbey, who in Desert Solitaire bemoans what he termed the “industrial tourism” that revolves around the automobile. 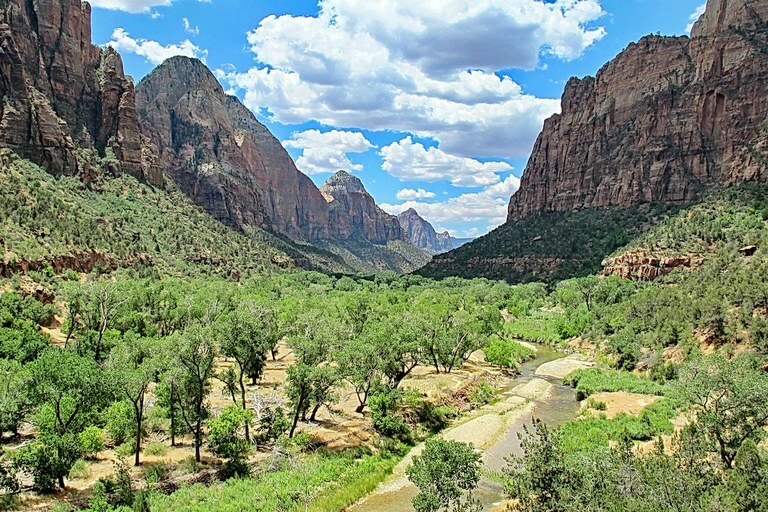 Desert Solitaire was published four years after the Wilderness Act was signed into law. Even as the United States’ economy boomed, in 1964 Congress sanctified areas where “the earth and its community of life are untrammeled by man, where man himself is a visitor who does not remain.” Abbey fought to preserve such land for the rest of his life. But Abbey, who died in 1989, wouldn’t be surprised by Trump and Zinke’s attitudes. He’d instantly spot them as more of the know-nothing exploiters he’d always railed against. It also wouldn’t surprise him that drilling in the Alaska National Wilderness Refuge was the price the GOP paid to secure Alaska Sen. Lisa Murkowski’s vote for tax reform. Having called the cattlemen whose herds graze on public land “welfare queens,” he’d appreciate being vindicated by Cliven Bundy, recently on trial in Nevada for crimes that began with his refusal to pay his federal grazing fees. He’d probably also say, “What else did you expect?” after learning that so many tourists in cars are entering Arches, Grand Teton, Bryce and Zion national parks that buses and reservation systems have begun or are in the works. And I think he’d be saddened that, 50 years after the publication of Desert Solitaire, the assault on public lands — our lands — remains such a fact of American life.